The Foundation Programme offers a series of e-learning modules addressing various outcomes of the FP Curriculum. These modules may be accessed by logging into the FP Moodle backend from the login area in the upper right hand corner of this webpage. All Foundation doctors are given access to FP Moodle. If you have any difficulty with access please contact the Foundation School Office. TheSynapse, a local Maltese Medical Professionals website, offer a series of short e-learning video clips which address various aspects of medical care. These video clips are available to all members of the Synapse. Registration is free. 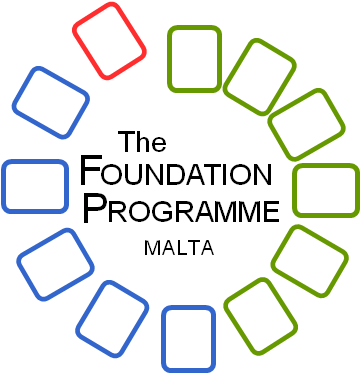 This e-learning project is a local initiative by the Medical Association of Malta with the support of the European Social Fund. It is a moodle-based learning management system which keeps track of local activities. This platform supports most local training opportunities and lectures and reproduces the audio-visual of the event as an e-learning package. Certificates can be issued on completion of modules. When registering you would need to click on the NHS button. You can register by inputting your ID card number. The ID card number which you input needs to have the full 7 digits (ie. You would need to include a 0 at the front if it is a 6 figure number, two 0s if it is a five figure number etc. ).